Hi, Graham. Tell us about your new book. 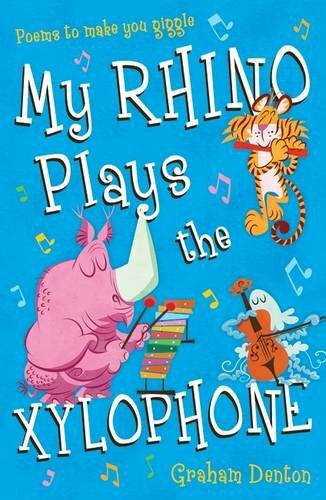 The book is called, My Rhino Plays The Xylophone (published by A & C Black), and it’s the first full collection of my own verses for children. Naturally, I’m extremely excited to see it in print. My Rhino… is subtitled, ‘Poems to make you giggle.’ All seventy-five of the poems in it are very, very funny – well I think so, at least – and are certain to have you cracking up or splitting your sides. Perhaps even both! So the book really should come with a government health warning. Like most people, I learned to write when I was at school. But it wasn’t until many years later, after I’d left school, that I learned to express myself through the written word in a way that I wanted. My first published piece of writing, though, was actually a football report in my primary school’s yearbook. I still have a copy of it! I always thought I’d be a football journalist when I grew up – what could be better than getting paid to watch and write about my favourite sport? – and I have had some football poems published, so I could perhaps say I achieved that ambition…well, kind of. But why do you write poetry? Why not stories? Because I’m too lazy to write novels! No, seriously, I’ve always enjoyed playing with words and having fun with language. Poetry is the best way I know of doing that. Having a poetic licence frees your imagination and allows it to go wherever it wants. Words are the wheels that carry your imagination along. More often than not, you have no idea in which direction you’re steering, and words can lead you down a completely different path to the one on which you started out. That’s what I love about poetry – there are limitless ways to write about any one thing, millions of different directions to go. And every time you set out on a fresh poem it’s like a whole new adventure into the unknown. So poetry rather than fiction. Do you write anything else? I do spend a lot of hours dealing with in the business side of being a poet – sending emails to fellow poets, to publishers, devising workshops, submitting proposals for books, etc. All those activities require a lot of putting pen to paper or fingers on the keyboard. Any poet has to ‘market’ him or herself, and it is quite time-consuming. Being a poet is not all about sitting daydreaming, you know – well, most of the time it is! I’m also an anthologist – someone who puts together collections of poems by other poets. Well, around the age of 13 or 14, I sneakily put a poem of mine, titled ‘The Walls of History’, into my English exercise book alongside my proper homework. I had the hope that my teacher would see and like it. She did! I got a big tick and a nice comment beside it. I guess that was my first published poem, even though I wrote it out myself. My teacher’s thumbs-up gave me enormous encouragement, and I’ve never really forgotten that. And you’ve gone on to write lots of books. Tell us about them. As an anthologist, my collections include Silly Superstitions (Macmillan Children’s Books), Wild! Rhymes that Roar (Macmillan Children’s Books), Orange Silver Sausage (Walker Books), My Cat is in Love with the Goldfish (A&C Black) and When Granny Won Olympic Gold (A&C Black). I also co-wrote, with my poetry pal James Carter, a collection for Macmillan Children’s Books called Grrr! Dinos, Dragons and Other Beastie Poems, a book bursting with dinosaurs, dragons and mythical monsters of all kinds. And now, of course, My Rhino Plays The Xylophone. What’s your favourite subject to write about? Anything and everything! 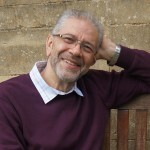 That’s the great thing about poetry: it allows you to express your deepest inner emotions, your strongest memories or your wildest thoughts, or to completely escape yourself and be anything you choose – you can give voice to a leaf, a cloud, an alien, absolutely anything that does or doesn’t exist. There are no limits whatsoever. Just as there are no limits about what you can write about, there are also no set rules about how long a poem can or should take. Often the shortest poem requires the hardest graft, and takes the longest time. I certainly find that to be true. One of my most published poems, ‘Evening Shifts’, took nearly 5 years to write. I wasn’t working on it night and day, of course, just on and off over that 5-year period, but it was a real struggle to find just the right words I was looking for. But I got there in the end. Persistence is important and a key part of any poet’s make-up. Ooh, that’d be like trying to count the stars at night. The simple answer is, a LOT! But definitely more bad ones than good ones. That’s probably true for most poets, though. Sometimes you have to go through a long dark tunnel to reach the light. And if you ask any poet they’ll probably agree that they write a lot of rubbish before they get to the stuff they want to keep. I’m always putting together new poems, ideas for anthologies, potential books, etc. I like to spin quite a few plates at once. Crassssssssssssshhh! Oops, I think I just dropped that one! Most recently, I’ve been working on a few football-themed ideas – you see, I’m determined to be a football writer really! Two thirty on a Thursday afternoon is always good me. (or is that the time I always feel I need to go to the dentists? Two thirty… tooth hurty… geddit? No? Never mind.). To be honest, any day and every day is a good time to write poetry. You can’t sit around and wait for inspiration to strike. It very rarely happens like that. Though of course it’s nice if it does. You have to keep your antennae up and alert at all times. Having a notebook handy, or any scrap of paper for that matter, is an absolute must. Write down whatever catches your eye or ear, gets your heart pumping or your brain jumping, otherwise those things might be lost forever. Think poetry from the moment you wake up till the time you go to bed. And even when you’re dreaming, poems may still arrive. I’ve certainly dreamed more than my fair share of poems. Usually I haven’t been able to rouse myself to write them down. But once or twice I have. So every time can be a special time. There is poetry in everything, everywhere; you just have to open not only all your senses but also your heart to be able to see, feel, taste, touch and smell it. Occasionally, yes. The school experiences I’ve had have been really enjoyable and rewarding. It’s wonderful to have an audience of children who are receptive to the poems you’re reading out. Being in a school is a valuable learning experience for a poet, too, because from the audience reaction (or not, as the case may be) a poet can learn whether or not his/her poems are working, and where they might be improved. 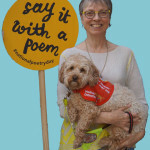 Children don’t lie – if a poem is or isn’t any good, they’ll let you know about it. I cover a lot of distance in my head. I must clock up at least a thousand miles a day. Taking huge leaps of the imagination is the cheapest, safest and easily the most exhilarating way to travel. And you can do it standing perfectly still or lying down. Which is most unusual school that you’ve visited? I once went to Hogwarts. It was a magical experience. We did a workshop on “wizardry.” The kids produced some spellbinding stuff. I’ve been fortunate to have had my heartstrings tugged and my funny bone tickled by many poets. I’ve always had a strong leaning towards light-hearted verse, and my all-time poetry hero is that American master of mirth, Jack Prelutsky. Many of the poems he has written are definitely among my very favourites. Yes. There’s still some archive ITV footage from the 1970s of me standing behind the goal net at Hull City’s old Boothferry Park ground when the “goal of the season” for that year was scored in a game against Sunderland by Hull City’s John Hawley. I distinctly remember seeing myself on the highlights show at the time jumping up and down. You can see the goal HERE! Did you spot me? I was also once in a short film that appeared on Channel 4 – acting, not as myself. 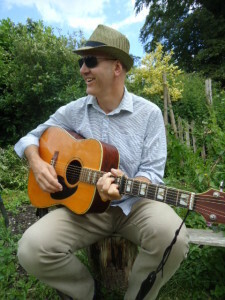 And I have had some of my songs played on local radio stations (Did I mention I was a songwriter, too?). But in my capacity as a poet… no! Though I’m sure I once saw my photofit on an episode of RHYMEWATCH UK. Apparently, I was being accused of crimes against seriousness? Me? NEVER! What’s your favourite reading book? It’s not just one book, but a series of books. I’ve long been an avid collector and reader of books of the “Peanuts” comic strip, written and illustrated by Charles M. Schulz, which ran daily in the US for nearly 50 years. So you can imagine how many books there are! I’ve got over a hundred sitting on my shelves, and still have many more to add to my collection. All of them have given me immense pleasure and I never tire of reading them over again. One of mine of which I’m especially fond is a very short poem called What’s a Caterpillar? I have a poem that will be featured in The National Geographic Book of Nature Poetry, edited by J Patrick Lewis, which comes out next year. Plus, I’m hopeful of inclusion in several other anthologies to which I’ve submitted poems. It’s always a real thrill to have any poem selected by an editor. If nothing else, it means that there’s at least one person in the world who rates and appreciates what you’re doing. Sometimes. But I always preferred Friday afternoons to Monday mornings. Just the one: a panther-black pussycat called Treacle. There’s only one team for me – Aston Villa. I’ve supported them for almost 40 years (mostly from my armchair and with help from various transistor radios, it has to be said), and enjoyed many happy moments during that time. The unhappy ones – of which there have also been plenty – I’ve just blotted out. Spare time… what’s that? No, if and when I have any, I like to do all sorts of fun and interesting things – spend time with my family, follow Aston Villa (of course), go jogging, play guitar, watch movies, eat, read lots and lots of poetry, to name but a few. In my experience, most poets are not really the sorts who go in for extreme sports (hey, there’s a rhyme there); they’re sensitive souls who enjoy gentle pursuits mostly. I’m definitely like that. Writing a poem is as dangerous as it gets for me. In the main I’ve made a very successful career of avoiding a very successful career. I was thinking of becoming a clairvoyant, but couldn’t really see any future in it. Truth be told, the only thing I really wanted to do with my life was write. I have had a whole host of other jobs but they were mostly just temporary, filling in until the time I could finally call myself a “poet”. Which, I’m happy to say, is what I do call myself now. I occasionally call myself a lot of other things, but that’s usually when I’m frustrated at not being able to finish a poem (and they’re not repeatable on a nice website like this). To get as old as I can, and write and anthologise as many poems and books as possible. Another great thing about being a poet is that there is no retirement age; you can carry on scribbling (I said scribbling, not dribbling) for as long as you want or are able to. And you never have to renew that poetic license. There’s a website – www.handsupbooks.co.uk – for a small press, Hands Up Books, that I run, but it’s very much in need of some spring cleaning. Another job to add to my “must do” list. I’m also on Twitter and Facebook. What advice would you give to aspiring young poets? The main advice, which I give to anyone who asks (adult or child), is to read, read and re-read as much poetry as possible. Reading always comes first, before the writing. 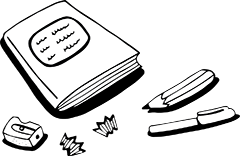 Find out what types of poem there are, the variety of verse forms, subjects, moods etc. And what most appeals to you. And then try writing, perhaps even imitating those. There’s nothing wrong with that. As I’ve already said, everyone has to write a lot of bad poems before he/she reaches a level that can be considered “good”. Eventually you’ll find your own voice, and maybe one day you too will feel confident enough to be able to call yourself a “poet”. Here’s to that!